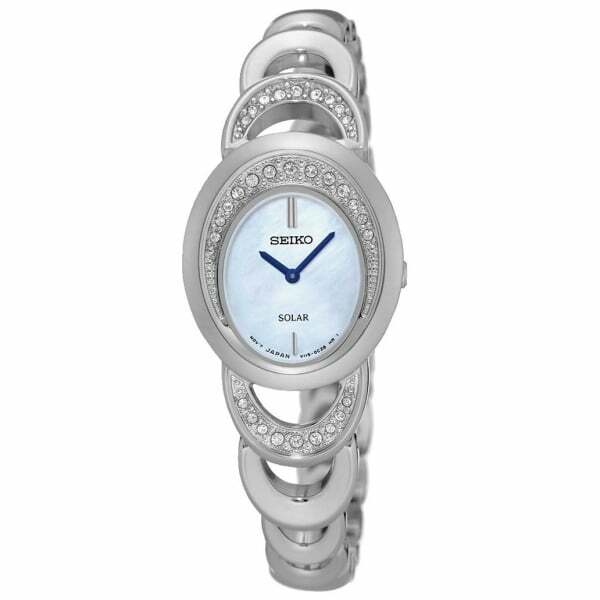 A beautiful, petite and elegant Seiko timepiece, perfect for those Special Occasions in life as it has been designed with a Silver Stainless Steel strap, accompanied by Swarovski Elements and a Mother of Pearl dial. It also has a Solar power movement and a 30m Water Resistance. Carefully packaged, this timepiece comes presented in an Official Seiko Presentation Box plus a 2 years Warranty.